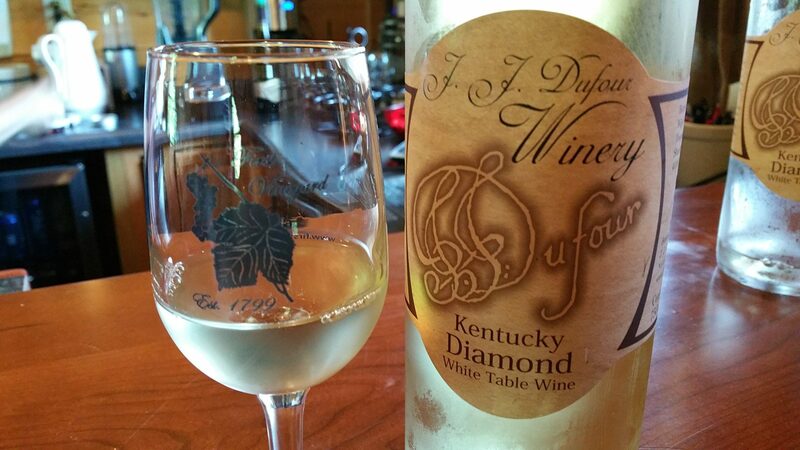 First Vineyard, Lexington, Kentucky: The first commercial winery in the U.S. This article originally appeared in the Napa Valley Register on September 4, 2015. While California may be the main location for vineyards today, the first commercial wineries in the United States were not on the west coast. Of course, then you might think that the first vineyards and wineries were in Virginia or one of the other original colonies. 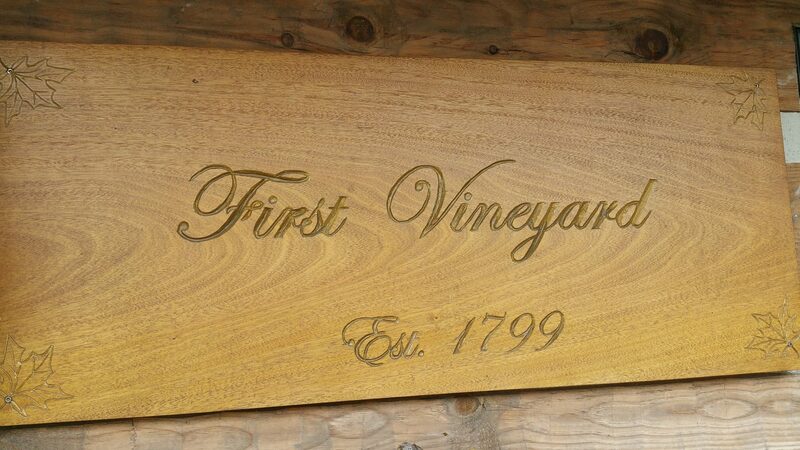 But, on a recent visit to Lexington, Kentucky, I visited First Vineyard, which is said to be the first commercial winery in the United States. In 1994, Lexington metro officer and builder Tom Beall found some land with the idea of building a small A-frame house for a weekend getaway. He began buying parcels in the area and in 2002 discovered that the property was the actual site of a commercial vineyard. While redeveloping the property, in order to plant vines as was done 200 years ago, Beall, a history buff, starting doing research about the land. 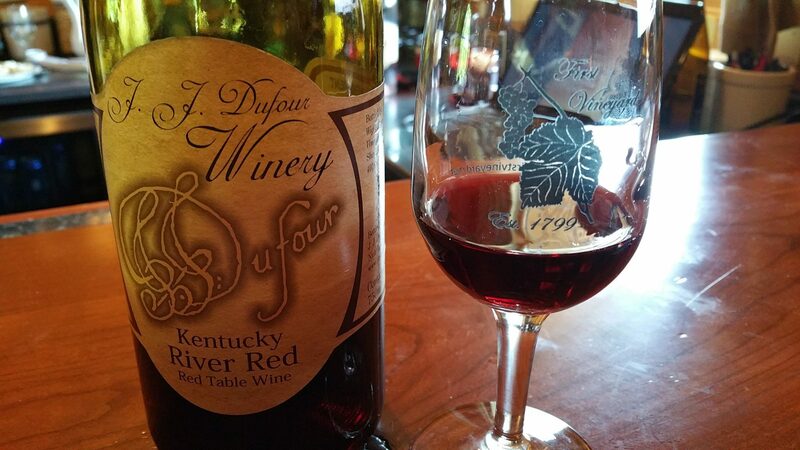 As decreed by the Kentucky Legislature on Nov. 21, 1799, John James Dufour of Vevey, Switzerland, had the first commercial vineyard and winery in the United States, known as the “First Vineyard.” Dufour traveled up and down the Ohio, Mississippi and Kentucky rivers and selected Lexington because there was a shipping port across from the Kentucky River where he could ship to New Orleans and beyond. 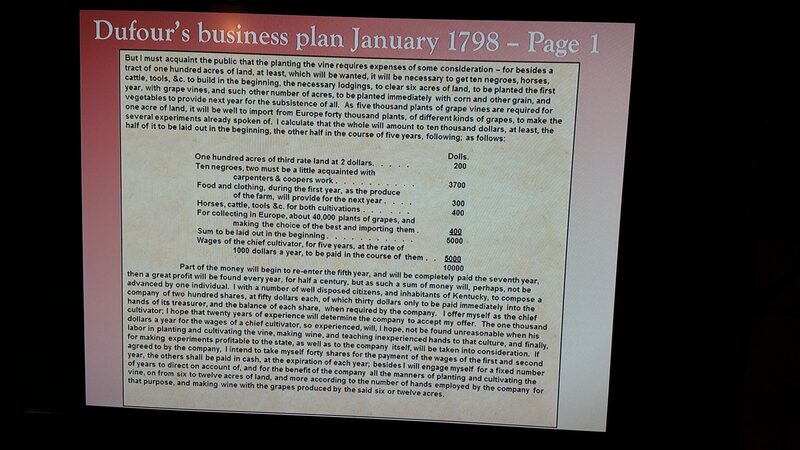 Beall recovered a journal that Dufour kept from 1796-1806, which included a copy of a business plan from 1798. 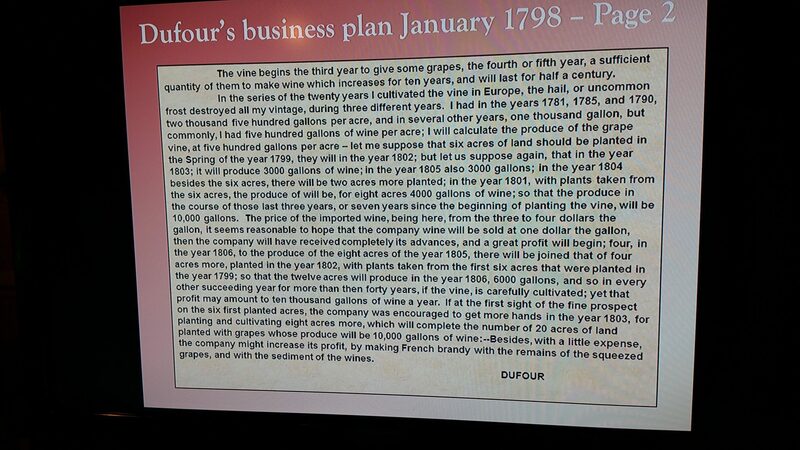 In this business plan, Dufour had shareholders and incorporated in August 1799 as a vineyard and winery. Shareholders were entitled to cuttings and could send male heirs to learn everything about making wine. And, one of the shareholders was Beall’s great-great-great-great-great-great-great grandfather William Beall, along with other important statesmen and politicians of the time, including Daniel Boone, Patrick Henry, Henry Clay, John Brown and John Edwards. 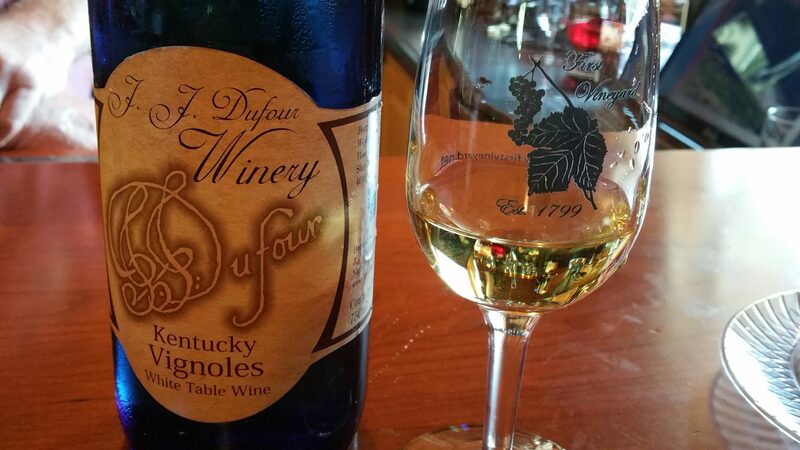 The first wine from that vineyard was consumed on March 21, 1803. 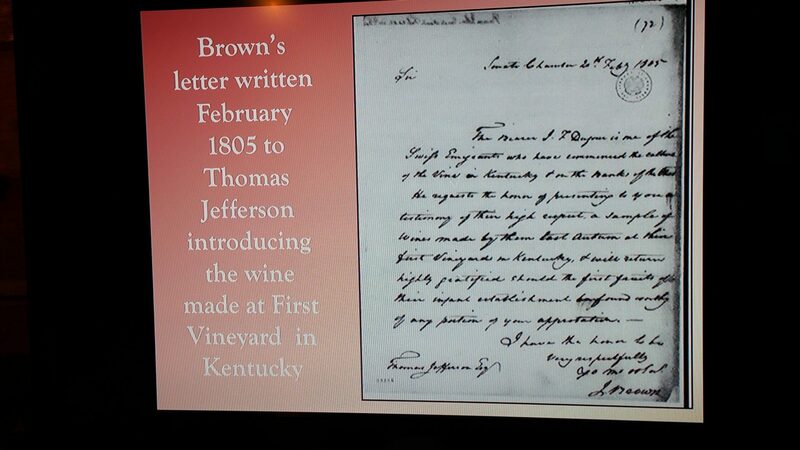 Beall has discovered and collected many interesting historical facts, such as a letter in 1805 from Thomas Jefferson who thanked Dufour for the wines. Dufour returned to Switzerland 1806. 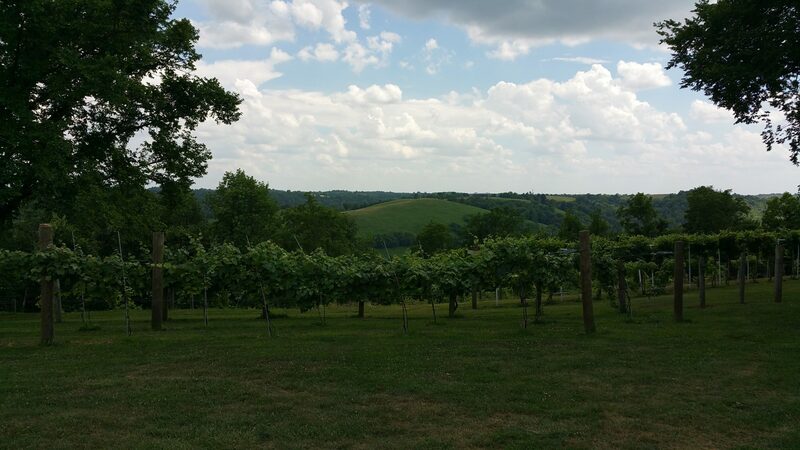 While initial plantings in the U.S. sent to states like Indiana, Ohio, NY and Virginia came from this vineyard, in 1809 a freeze wiped out the vineyard. Close to twenty years later, in 1826, Dufour wrote a book about how to make wine. 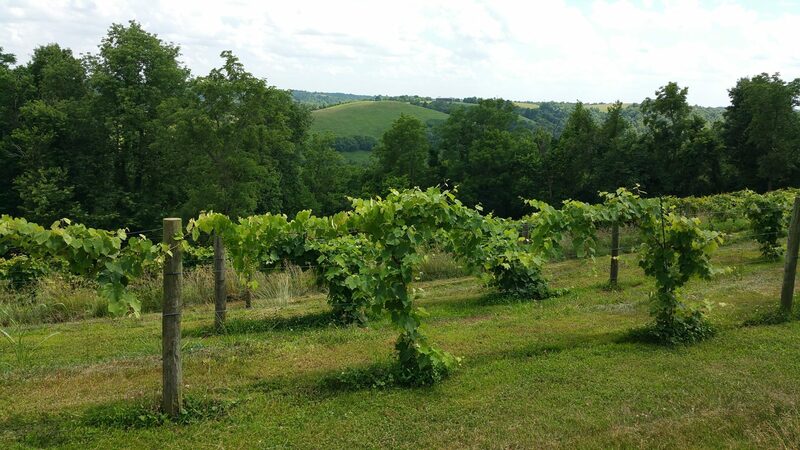 Tom Beall began re-establishing the vineyard in 2006, planting on the same terraced land as Dufour. 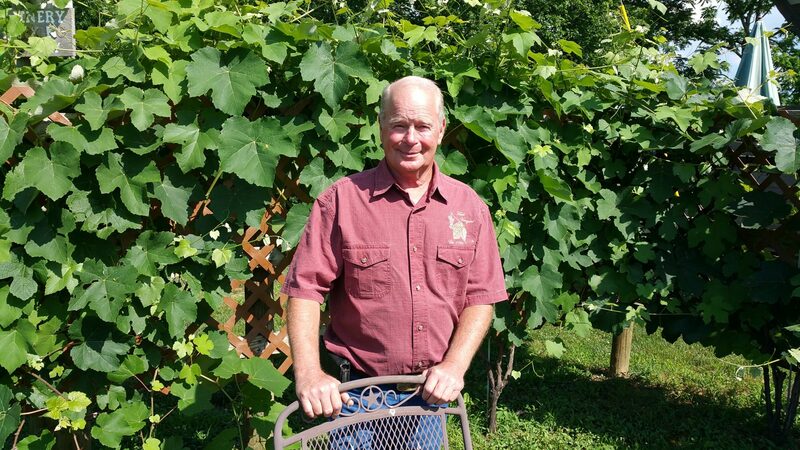 He now has about 400 vines growing and makes 4,800 bottles of wine, including Riesling, Alexander (aka Cape Grape, Alexander, Constantia, Vevay Grape), Vignoles, Kentucky River Red (Labot and Franq de Nat), Norton and Chambeourcin. Although small, First Vineyard has a tasting room for visitors. To read the story in the Napa Valley Register, click here. This entry was posted in Wine and tagged First Vineyard, John Dufour, Kentucky, Lexington, Napa Valley Register, Tom Beall, Wine, winery by Allison Levine.